There is one simple reason why Japan has become so popular for skiers and boarders – perfect powder snow! You can search the world looking for perfect snow, spend a lot of money and sometimes come back dissatisfied. In Japan, the only thing you crave is sunshine – powder is in plentiful supply. Japan is full of wonderful cuisine, culture and traditions; combined with modern Japan which features idols, computer games, robots and anime this makes for a unique experience. From sushi, tea ceremonies, onsens and famous ice sculpting festivals through to karaoke, and sake you are sure to leave Japan with new experiences. SkiJapan offer a range of holiday packages to Niseko, Hakuba, Rusutsu, Furano, Nozawa Onsen, Kiroro, Tomamu, Myoko Kogen, Shiga Kogen, Naeba, Arai, Madarao, Appi Kogen and Sahoro and cater to all levels of skiers and snowboarders with a wide choice of accommodation in terms of budget, style and location. Comprised of 4 interlinked ski resorts – Grand Hirafu, Hanazono, Niseko Village and An’nupuri – Niseko is renowned for its consistency and quality of powder snow. 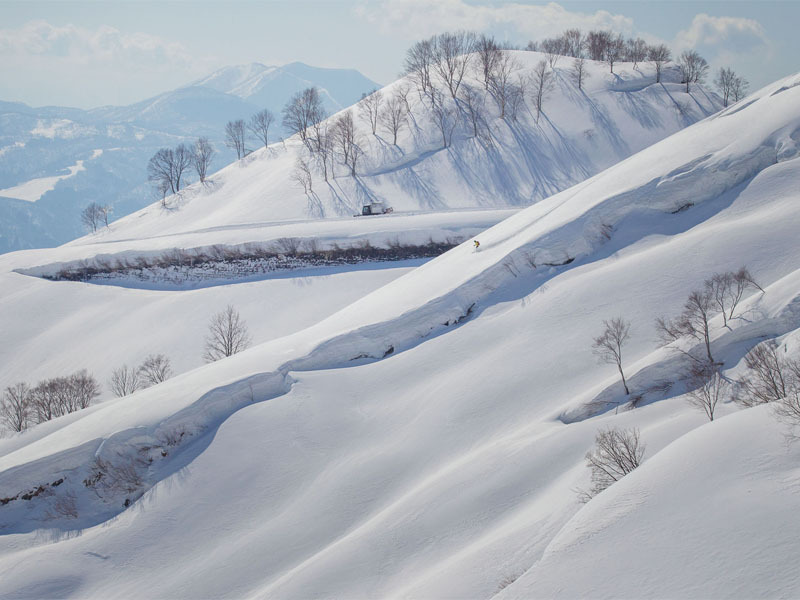 Host to the 1998 Winter Olympic Games, Hakuba is one of Japan’s largest and most renowned alpine resorts. The valley consists of 11 ski resorts, giving an incredible variety of alpine terrain, accommodating everyone from novice to expert. Just 40 minutes from Niseko, Rusutsu is a family friendly resort and a powder purist’s dream come true with wide, tree-lined courses to suit all levels. An ideal destination for families and offers a quieter more relaxed atmosphere than other resorts. Known for its stable weather and bluebird days. Nozawa Onsen has real character and despite becoming a mecca for keen and apres skiers, it has retained its traditional Japanese charm with more than 13 public hot spring baths that can be used free of charge. Two well-appointed international hotels are located at the base of the resort and provide over 400 rooms plus a wide range of restaurants and activities. This family friendly, self-contained resort is ideal for beginners and experts alike. Plenty of resort activities to interest those looking for fun off the slopes too. One of Japan’s oldest ski areas and made up of three separate resorts – Myoko Akakura, Myoko Suginohara and Ikenotaira Onsen – and is renowned for some of the best vertical and longest runs Japan has to offer. 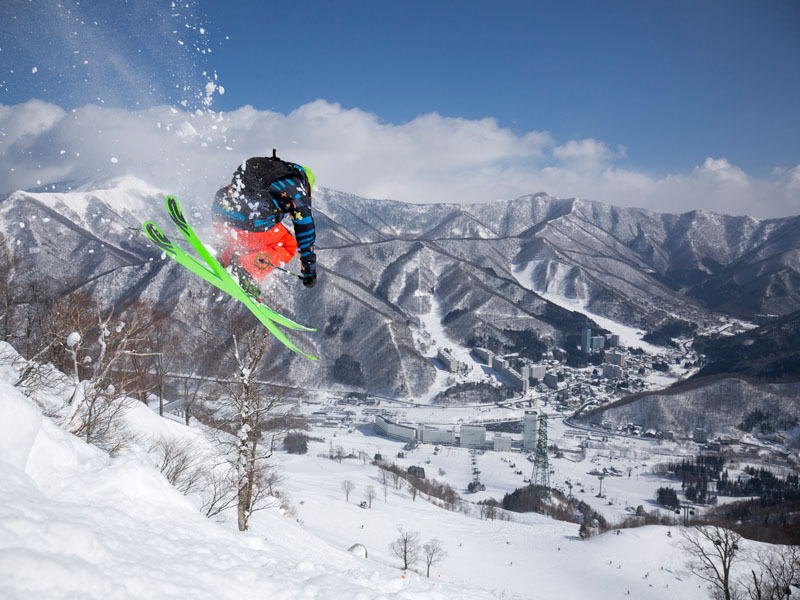 Shiga Kogen is one of Japan’s largest ski areas made up of 21 ski resorts. Nineteen interlinked ski areas with a smorgasbord of options including beginner slopes, long cruisers, challenging moguls and powder bowls. A high quality ski resort with impressive facilities and services located in the southern area of Yuzawa town in Niigata Prefecture, just 2.5 hours from Tokyo. Located on the northern outskirts of the Myoko ski area approx. 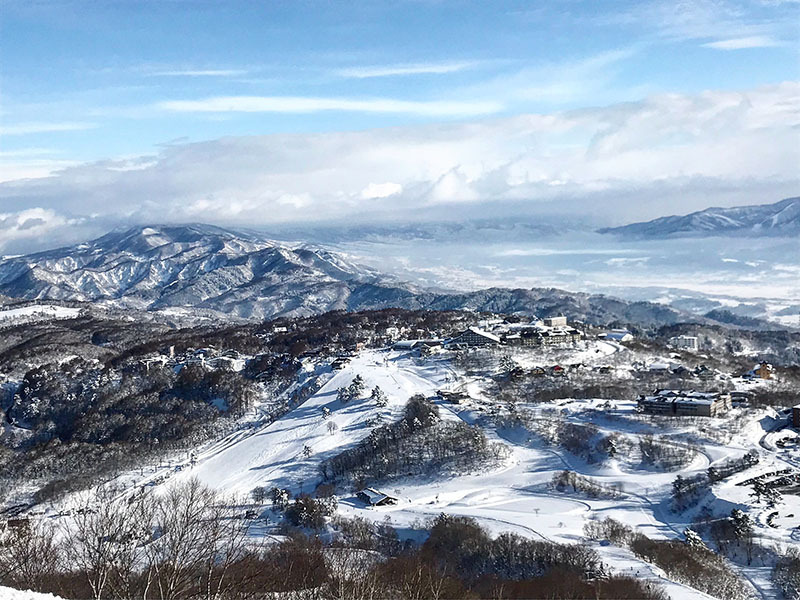 2 hours from Tokyo, the Lotte Arai Resort averages a massive 15m of snow each season and offers a variety of terrain set over an impressive 951 metres of vertical descent. Nestled between Myoko Kogen and Nozawa Onsen, Madarao is a powder hounds paradise offering some very good tree skiing, reasonably steep bowls, and off-piste skiing. An exciting alternative to the big resorts. Appi Kogen is Tohoku’s largest resort and is considered one of the best quality ski resorts in Japan. The resort is renowned for its quality grooming and there are plenty of runs left ungroomed for those who love powder. Sahoro has plenty of terrain and there isn’t a shortage of things to do with an abundance of tours and regular events and festivals throughout the season.